Greg Abbott and Wendy Davis almost didn't have this debate. 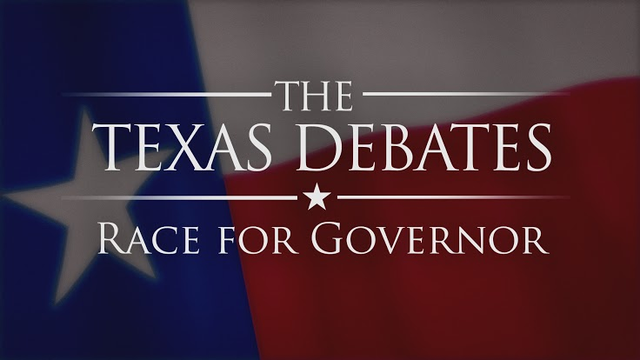 The two major candidates for Texas governor, though, now are set to debate each other from the public TV station studio at KERA-TV in Dallas. The debate will be carried live on Panhandle PBS Tuesday night beginning at 8. This one is big. Real big. Texas is electing its first new governor since 2002, although the man we elected a dozen years ago was serving in the job he inherited when George W. Bush left the governor's office in 2001 to become president of the United States. Rick Perry -- who was lieutenant governor when Bush was elected president -- is leaving the office he has held longer than anyone in state history. His successor will be either Republican Attorney General Greg Abbott or Democratic state Sen. Wendy Davis. The debate at KERA is the second joint appearance with Abbott and Davis. They met this past week in the Rio Grande Valley and jousted in a lively encounter. It's been said the governor's office is a relatively weak one, that the lieutenant governor holds the real power in the state, as he or she presides over the Texas Senate. Perry, though, has helped rewrite the governor's job rating simply by staying in the office for so long. His appointment power has enabled him to place individuals on boards and commissions and as agency heads who will further the governor's policies and vision for the state. Gov. Perry also has used the office as a sort of bully pulpit, calling attention to such issues as immigration, taxastion, and the Affordable Care Act. Which of the two people will Texans elect to succeed the long-standing governor? We'll know the answer on Election Day, Nov. 4. But first things first. It's time to listen to what these two individuals have to say on how they intend to lead state as its next governor.